Соли ҷорӣ дар донишгоҳ чор лоиҳаи буҷавӣ-фармоишии аз ҷониби Ҳукумати мамлакат тасдиқшуда мавриди иҷроиш қарор гирифта буданд, ки маблағи умумии онҳо 208268 сомониро ташкил дод. Инчунин се лоиҳаи дигар аз Фонди Президентӣ маблағгузорӣ мешавад. Дар доираи татбиқи лоиҳаи Бонки умумиҷаҳонӣ «Рушди таҳсилоти олӣ» дар базаи кафедраи “Истифодабарии нақлиёти автомобилӣ” курси такмили ихтисос аз рӯйи барномаи “Иҷозатномадиҳӣ, сертификатсия ва хизматрасонии техникии нақлиёти автомобилӣ” барои шунавандагон аз сохторҳои гуногуни Вазорати нақлиёт ва шаҳрвандон ташкил гардид, ки 125 нафар онро хатм намуданд. Дар баробари ин базаи лаборатории кафедра аз ҳисоби лоиҳа бо асбобҳои озмоишии нав таъмин гардид. Бо мақсади ташаккули фазои таълимӣ ва илмӣ-техникии ДТТ ба номи академик М.С. Осимӣ маркази такмили ихтисос ва татбиқи лоиҳаҳо ба ду озмуни грантҳои бузург ва миёнаи лоиҳаи Бонки умумиҷаҳонии «Рушди таҳсилоти олӣ» дархост пешниҳод намуда, ғолиб гардид, ки маблағи умумии онҳо зиёда аз 2,9 млн. сомониро ташкил медиҳад. Инчунин донишгоҳ ба озмуни Иттиҳоди Аврупо, Еразмус плюс дар соли ҷорӣ 6 лоиҳа пешниҳод намуда буд, ки дар натиҷа як лоиҳа таҳти унвони “Мукаммалгардонии таҳсилоти олӣ дар Осиёи Марказӣ тавассути технологияҳои нав” (Modernisation Of Higher Education In Central Asia Through New Technologies) аз тарафи Иттиҳоди Аврупо маъқул дониста шуд. the requirement of the EU to give the opportunity for EVERYBODY to learn at ANY time and at ANY place with the help of ANY lecturer, using ANY device – computer, laptop, tablet, phablet, smart phone, etc. the consortium will create Centres for innovative education technologies. Cloud-based Virtual Library of the digital educational resources. Scientific, economic and social partners. The project will help to turn partner universities into innovative universities and to improve the quality of the trained specialists, who are necessary to perform the Digital Transformation of Industries (Industry 4.0). 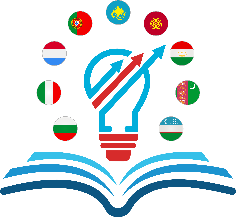 19 universities from BULGARIA, ITALY, LUXEMBOURG, PORTUGAL, KAZAKHSTAN, KYRGYZSTAN, TAJIKISTAN, TURKMENISTAN, UZBEKISTAN and 5 Ministries of Education of the CENTRAL ASIAN countries. Ҷумҳурии Тоҷикистон то соли 2021 Созишнома оид ба маблағгузорӣ (гранти №D082-TJ) ва (кредити №5702-TJ) байни Ҷумҳурии Тоҷикистон ва Ассотсиатсияи байналмилалии рушд оид ба Лоиҳаи «Рушди таҳсилоти олӣ» 7 августи соли 2015 бо арзиши 15 млн. доллари ИМА (грант – 45%, кредит – 55%) ба имзо расид. Созишнома оид ба маблағгузорӣ (гранти №D082-TJ) ва (кредити №5702-TJ) аз 7 августи соли 2015 ҷиҳати маблағгузории Лоиҳаи «Рушди таҳсилоти олӣ» байни Ҷумҳурии Тоҷикистон ва Ассотсиатсияи байналмилалии рушд/Бонки ҷаҳонӣ ба имзо расонида шудааст. Мақсади Лоиҳа ин таҳияи механизмҳои беҳтар намудан ва мониторинги сифат ва мутобиқати таҳсилоти олӣ ба бозори меҳнат мебошад. –Идоракунӣ, мониторинг ва арзёбии лоиҳа (0,6 млн. доллари ИМА). Мақомоти иҷроияи Лоиҳа Вазорати маориф ва илми Ҷумҳурии Тоҷикистон (ВМИҶТ). ECOSF and UNESCO in partnership with the Academy of Sciences, Republic of Tajikistan, FEIAP, ISTIC and PEC organized an International High Level Policy Forum and Workshop on EQSAPS in Dushanbe. The purpose of the workshop was also to assess and review the existing engineering curricula offered in Tajikistan with the objective of harmonization and standardization of curricula within the country with the FEIAP engineering qualification guidelines. 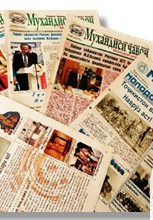 The Tajik Technical University adapted the International Standards of Higher Professional Education to educational standards that based on framework of the Engineering Qualification, Standardization, Accreditation and Professional System (EQSAPS) in Tajikistan Programme to promote an exchange of students, post-graduate students and teachers, an establishment of scientific cooperation in areas, representing mutual interest, accept to the protection of the dissertation on specialties, assist in the increase of scientific qualification of scientists and teachers. 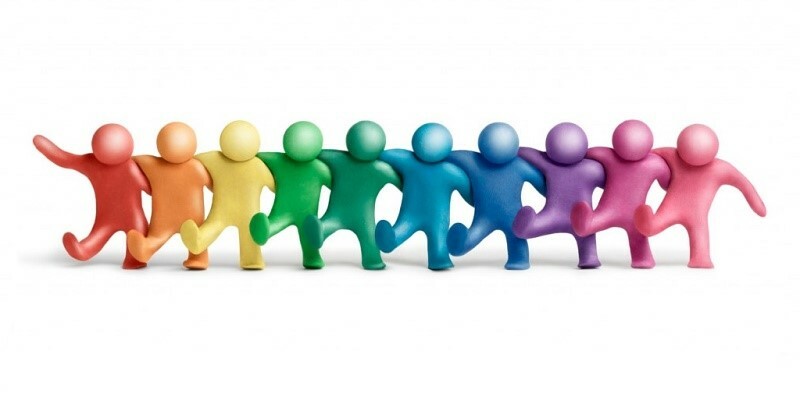 In addition, exchange experience in the development of the advanced methods of training, promote an exchange of materials on leaders to researchers, organize symposiums/ seminars and conferences for staff and lecturers, develop and realize programs based on FEIAP accreditation and standardization. 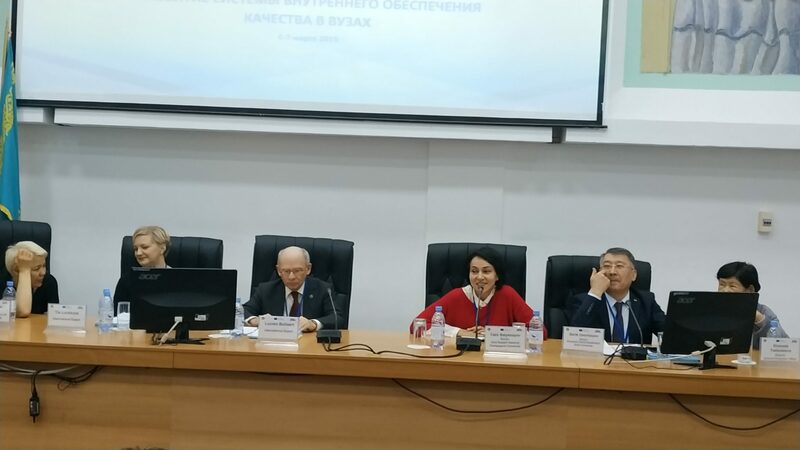 The roadmap is aimed at extension and adaptation of the FEIAP guidelines on engineering qualification standardization to countries of ECO region with focus on Central Asia region. 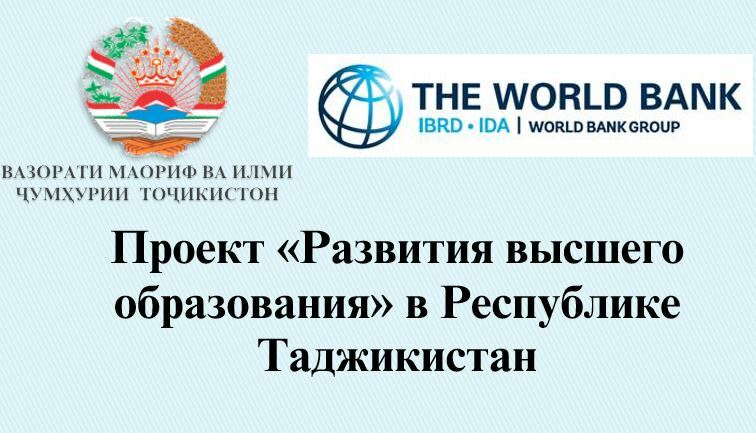 In Tajikistan lack of laboratories, access to scientific literature, research grants, and qualified faculty are significant barriers to promoting science and engineering fields (Asian Development Bank, 2015). There is some challenges regarding to lack of English language skills among teachers and lecturers. The lack of student enrollment in fields related to science, engineering, and technology is of serious concern to the government. The National Strategy for Education Development 2020 refers to this as “structural disproportions of the education system,” and plans to shift the focus of higher education institutions from social sciences disciplines to the applied fields, and terms these institutions the “most essential intellectual resource” for the development of the country.